White Rhino Shatter: White Rhino is a hybrid of White Widow and an unknown North American indica strain, creating a bushy and stout plant. The buds give off a strong and heady high. The plant’s parentage hails from Afghanistan, Brazil, and India. White Rhino is one of the best types of marijuana for medicinal use since it has such a high THC content. 17 reviews for "Green Gold – White Rhino – Indica Shatter"
First time buying Green Gold and very happy. Shatter is a nice golden colour that is like glass. Very heady high, very tasty, very effective and very affordable. All around, one of the better shatters I’ve smoked in the past little while. Best shatter I have smoked so far. Great taste and the high lasts a long time. Thanks goldbuds. Good clean high well wroth the money. 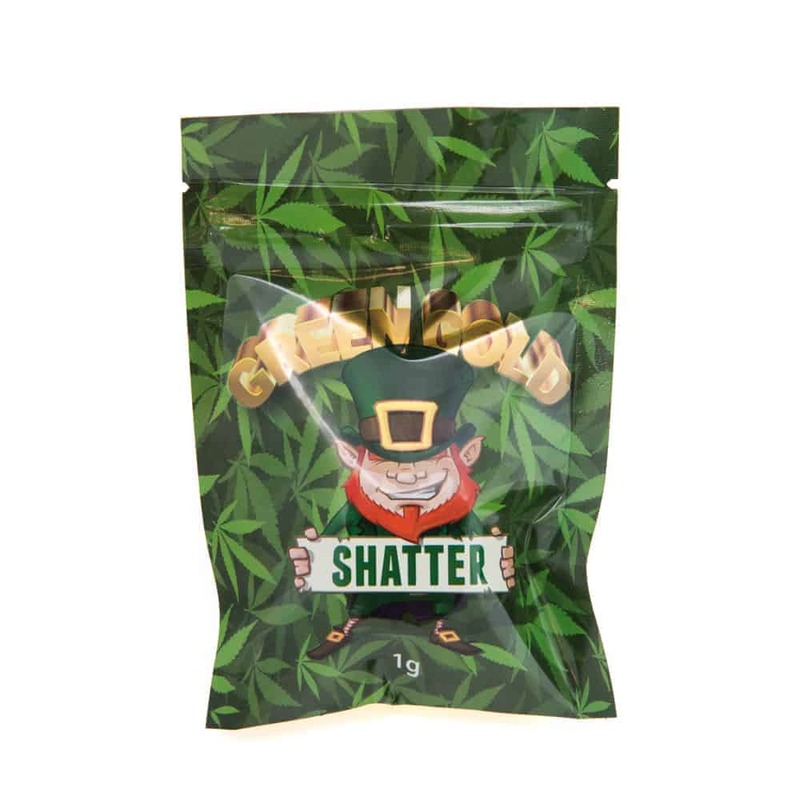 I really enjoyed the shatter but the container was very hard to get everything out of. I won’t be buying again for the simple fact that the container it comes in is not nonstick. White Rhino provided me with a very relaxing high while also tasting very good, for the price its well worth a try at the least. Love the texture and packaging. Still my fav strain out there! Love this stuff, but the plastic container is not the best, parchment paper works best! Just received my order & grabbed this, I must say this is one of the greatest shatters i’ve ever tried! the high hits you right away after having a lite dab or two! goldbuds never disappoints! I really love the taste. Similar to Durbin poison or chocolate kush. Nice effects, a new one on my favorite list.